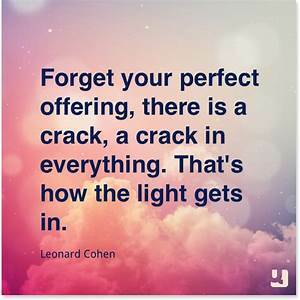 “A crack lets in the light” is an expression reminding us that when we create a solid barrier in our manner of thinking, it becomes difficult to introduce new concepts into our world view. What we, the CTCW community, are doing, is opening our minds to the possibilities. This is required in order to change. For centuries the paranormal and supernatural have been called “Occult” which means hidden. Why hidden? Because despite the awareness when we are children that this is perfectly normal and natural, as we grow we are told to not talk about it. If it is natural and normal for us to see ghosts, to speak to animals, to find things, to heal others, to perceive the feelings and thoughts of others, and influence the world around us by our inner abilities, we are told to hide it, and to pretend that like “everyone else” we don’t believe in it. Some people buy into the story, for others, who use these abilities, we are taught that we need to hide our abilities and perceptions and not let others know about them. If our family or community practice, we are taught to preserve a “normal” appearance to everyone else. This preserves the illusion that our abilities don’t exist. Why do we do this? There is history of persecution, certainly. If it became accepted that telepathy exists, many would worry that their secrets would be discovered. If energy healing works most of the time, it raises the question that when it doesn’t work, it could be a fault of the practitioner who didn’t do it correctly, or who withheld their healing? These are problems for doctors, but they defend themselves from charges of malpractice by working within established norms. We couldn’t do that with supernatural techniques as long as we don’t understand the mechanisms for how these things work. We see even now the issue of empowerment being twisted into victim-blaming. If everyone “can” manifest whatever they want, it can be seen that any problems they have are their own choice. Their own fault. Sadly, awareness of our abilities should come hand in hand with compassion and awareness of larger forces in the universe, and that seems to lag behind. The truth will out, of course. Sooner or later, the modern world will figure out that these abilities are real, and may develop technologies to measure them, or even enhance them. Perhaps, like the GBLT community, we have to start by “coming out of the closet” and letting those who worry about us know that we’ve been among them in our millions without doing and evil things to them, and the only thing we want to do to “subvert the dominant paradigm” is too be accepted. We mediums, telepaths, magickians, dowsers and others often have little problem with this. 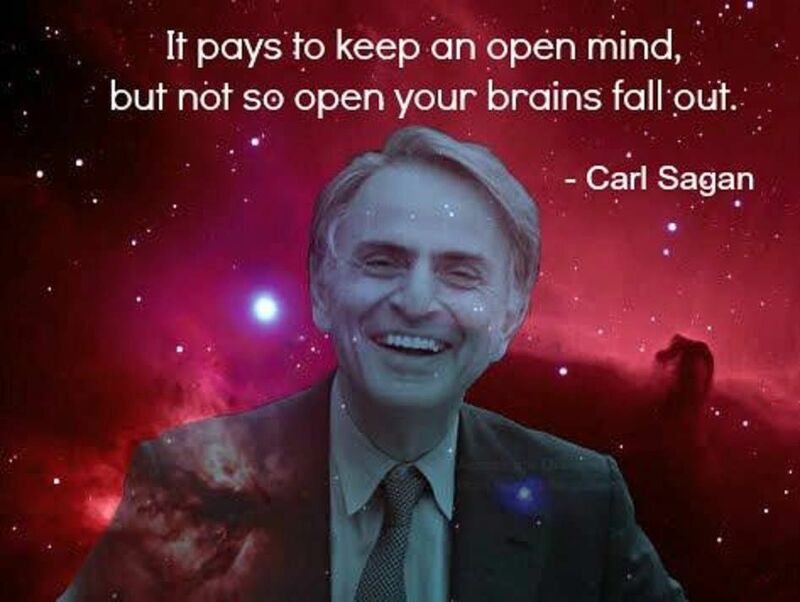 Sometimes we need reminding not to have “a mind so open that your brain falls out”. It’s sometimes easy, once you discover that the “normal” world has gotten so many things wrong, to run around trying every new thing, and telling everyone about the new things you’ve learned. This enthusiasm is natural, everyone does it, although they may be enthusing about a new diet, or recipe for chocolate cake, or gadget, but that won’t get them “burned at the stake” or prosecuted as a con artist. As we change the world to a better place, we on the leading edge of the opening must remember to protect ourselves from the push-back of those who we are making uncomfortable. We must not deny what we know to be real, but at the same time, we need to maintain our credibility with those who haven’t had the direct experience we have had, and have been trained by the the modern world to be hyper skeptical. We need to do it, and I believe we can. This entry was posted in Theme images Sundays, Uncategorized and tagged carl sagan, enthusiasm, paranormal, skeptic, supernatural.